Small really can be beautiful too: Space remains at a premium in the UK and more of us than ever before are living in cities where in square meterage terms, every millimeter counts! 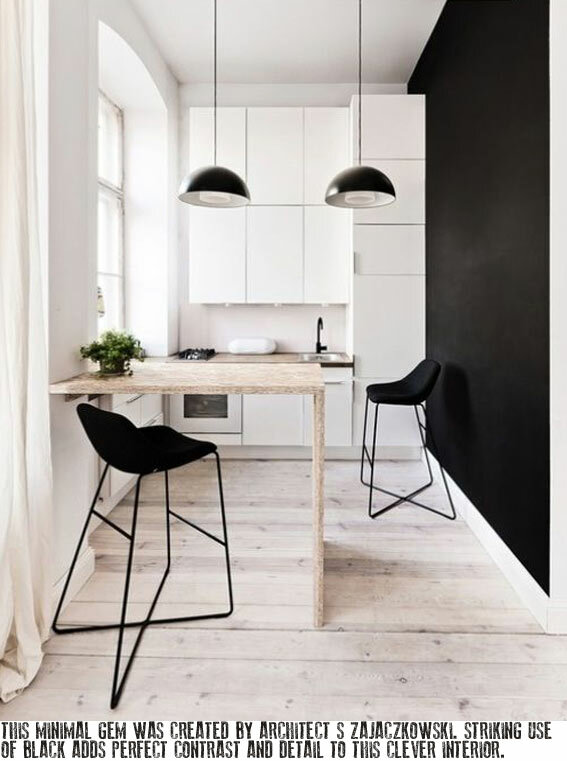 There is no denying that styling a small interior can be tricky and requires careful consideration. The challenge is to truly maximize the amount of living space available without compromising on style. I've selected some exciting examples (above) of how inventive interior design can be when it comes to designing layouts for 'spatially challenged' rooms. To confess, I am still reeling from the stunning use of industrial chipboard in images 2 & 3 where the blondness of the wood adds warmth whilst the texture adds interest and blends beautifully with the chalky neutral scheme. Also, look at how effective the bedroom mezzanine is at adding much needed additional living space to the apartment - this really is spatial design excellence! 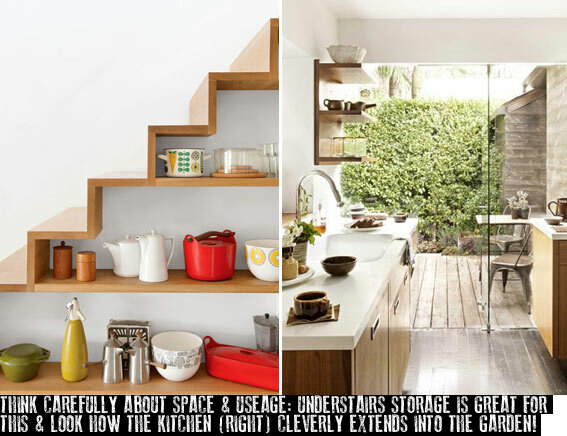 For those of you with stairs, I love the kitchen shelving (above) which has been built underneath the staircase and is a perfect example of how this frequently neglected space can be turned into something positive and oh so beautiful! Home offices also work well under the stairs as there is often room for a cleverly built-in desk, shelving and a computer. 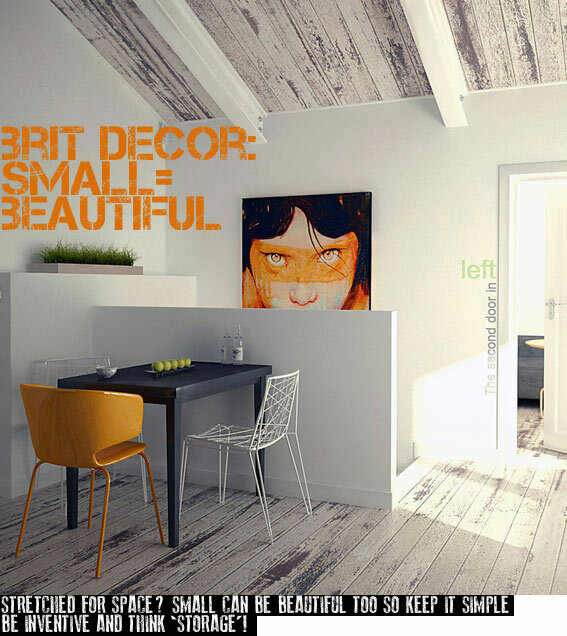 If you are thinking about decorating a small room, I hope you have been suitably inspired to embrace the challenge!